“It is feared that women will neglect their homes for the polls” –Argument of the Antis. And vote and vote the livelong day? The awful things they say of you? To spend each day in politics? To cast your ballots every day? 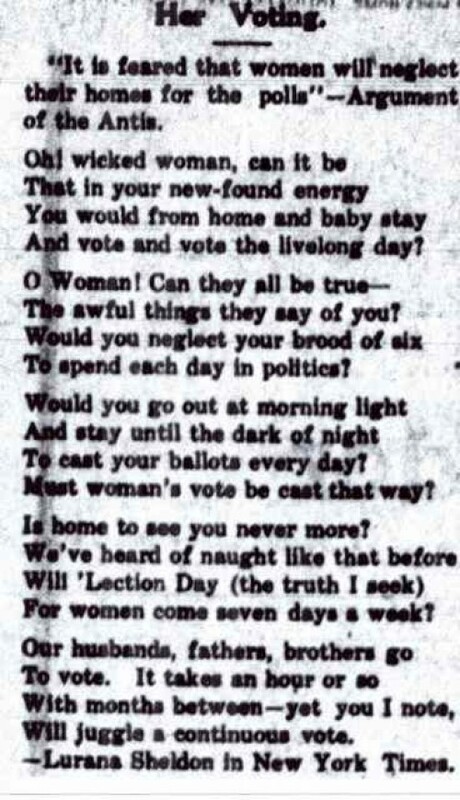 Must woman’s vote be cast that way? Is home to see you never more? For women come seven days a week? will juggle a contentious vote. –Lurana Sheldon in New York Times.